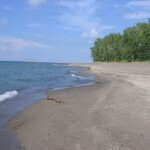 Sitting just off the shore in Lake Erie, Presque Isle State Park has miles of sandy beach on the north side, with beach grasses, trees, and gentle waves lapping. A great place to walk, especially off season. 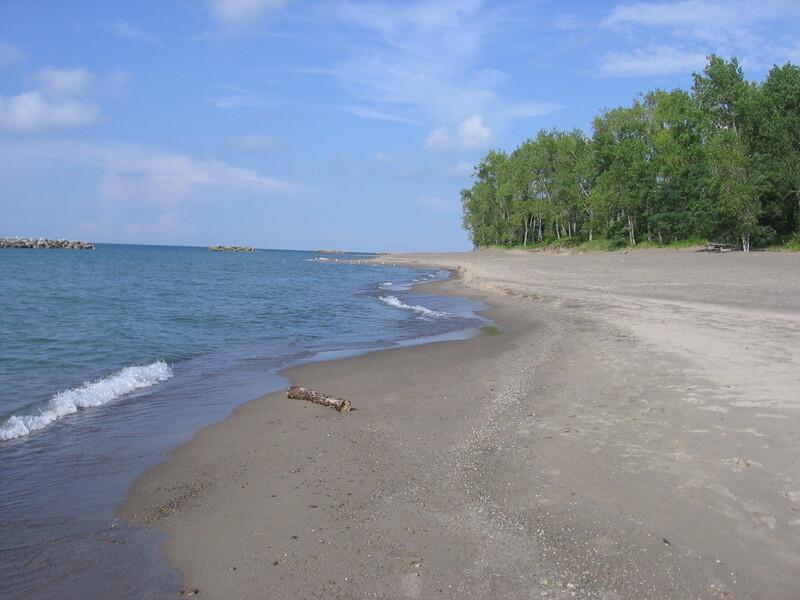 Presque Isle, just outside of Erie, PA, is a state park that sits off the shore in Lake Erie. Unfair comparison to this ocean beach off Delaware at sunset. A nice place. 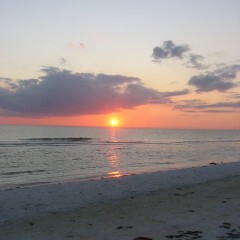 It’s similar to an ocean beach, but was not quite as enchanting. It isn’t a replica of an ocean beach as some beaches in Michigan are. But it’s a perfect place to walk or bike – and there are even some boat rentals. The sand is tan and quite fine and there’s a great band of smooth little rocks near the water’s edge to examine. I suspect in summer this is family and kid heaven, as there is an amusement park right at the entrance (which, fortunately, was closed). Also some relatively inexpensive motels (September was off-season). Right before the amusement park is a little Greek “fast-food” joint that served superb baklava (so glad it was open). This might be a nice weekend jaunt to put on your spring “to do” list if you live in Pennsylvania, Ohio, West Virginia, or New York state. Do you have some favorite places to hike? Share them in comments.